Helping kids be safe, confident explorers of the online world. We've implemented a ton of helpful feedback to expand the Be Internet Awesome program. 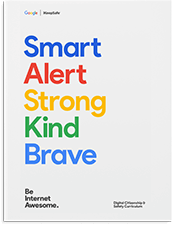 The Be Internet Awesome Family Guide gives families the tools and resources to learn about online safety and citizenship at home. We’ve created this guide for families to make it easier to incorporate and practice good digital habits in your everyday lives. 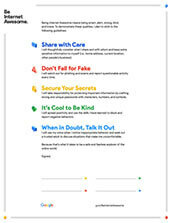 Packed with good stuff, this guide will help you and your kids discuss, learn, and think about online safety together. Good (and bad) news travels fast online, and without some forethought, kids can find themselves in tricky situations that have lasting consequences. The solve? Learning how to share with those they know and those they don’t. Keep personal details about family and friends private. It’s important to help kids become aware that people and situations online aren’t always as they seem. Discerning between what’s real and what’s fake is a very real lesson in online safety. Fair exchanges shouldn’t involve giving away any personal information. Always think critically before acting online and learn to trust your intuition. Be on guard for phishing attempts—efforts to steal information like login or account details by pretending to be a trusted contact in an email, text, or other online communication. Personal privacy and security are just as important online as they are offline. Safeguarding valuable information helps kids avoid damaging their devices, reputations, and relationships. Use a mix of uppercase letters, lowercase letters, symbols, and numbers. R3pl@ce le++ers wit# sYmb0ls & n^mb3rs 1ike Thi$. Do not use the same password on multiple sites. Create a few different variations of the same password for different accounts. The Internet is a powerful amplifier that can be used to spread positivity or negativity. Kids can take the high road by applying the concept of “treat others as you would like to be treated” to their actions online, creating positive impact for others and disempowering bullying behavior. Use the power of the Internet to spread positivity. Stop the spread of harmful or untrue messages by not passing them on to others. One lesson that applies to any and all encounters of the digital kind: When kids come across something questionable, they should feel comfortable talking to a trusted adult. Adults can support this behavior by fostering open communication at home and in the classroom. Extend the conversation to other trusted adults like teachers, coaches, counselors, friends, and relatives. 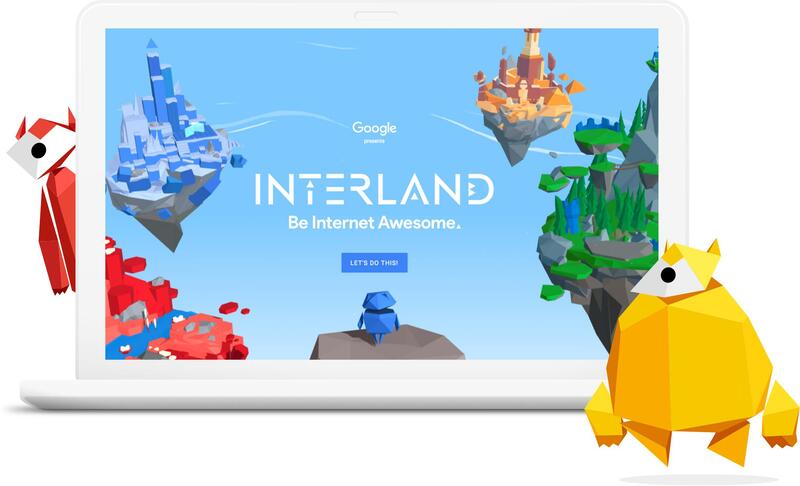 Kids can play their way to being Internet Awesome with Interland, an online adventure that puts the key lessons of digital safety into hands-on practice with four challenging games. 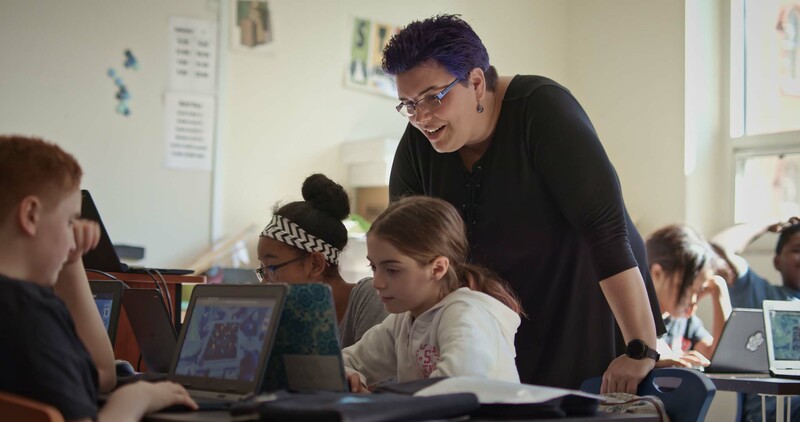 Educators teaching online safety in the classroom can download lesson plans that have received the ISTE Seal of Alignment and classroom activities that bring the fundamental lessons to life. Parents driving the online safety conversation at home can encourage the entire family to get on the same page by reviewing the fundamentals and taking this pledge together. We worked with experts in digital safety to ensure that every element of the program addresses what families and educators need to know. The Internet Keep Safe Coalition is dedicated to protecting children, families, and schools by assessing, advising, and certifying organizations that collect, use, and share personal information and data that is protected by law. ConnectSafely is a nonprofit organization dedicated to educating users of connected technology about safety, privacy, and security. The Family Online Safety Institute is an international, nonprofit organization that works to make the online world safer for kids and their families.